자동차의 전기시스템의 구조를 효과적으로 교육 할 수 있는 장비이다. 입출력 신호값을 임의로 조작 할 수 있어서 엔진 고장 증상을 재현 할 수 있다. 시스템별로 회로도를 참고하여 사용자가 직접 회로를 구성 할 수 있는 구조이다. 회로 라인이 명판에 인쇄되어 있다. 동작 부에는 안전 커버를 설치. 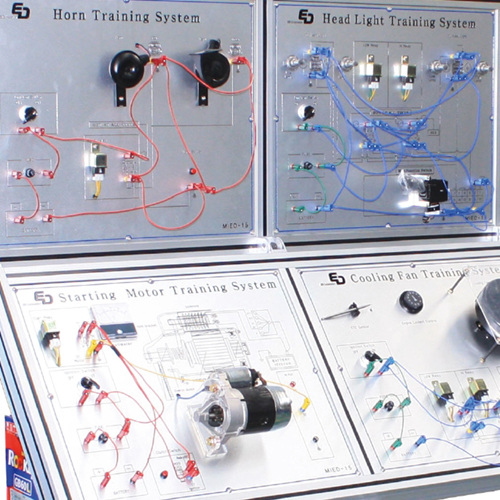 It is a very useful equipment to be used in teaching the structure of the electric system of the car. 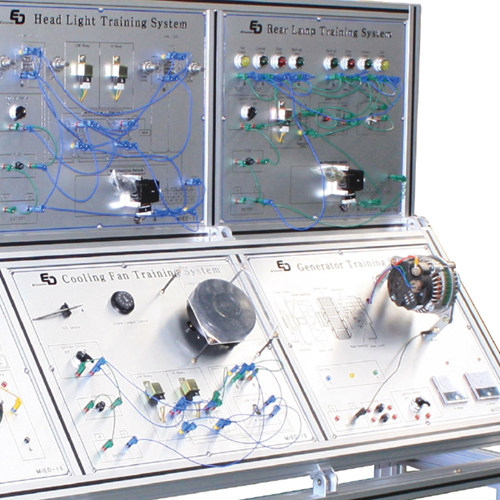 It can operate randomly the sign values of the input-output so it can show the symptoms when there is a problem in the engine. 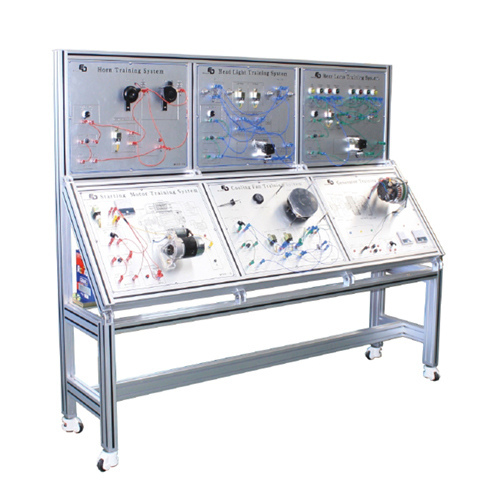 It is an easily built structure for which the user can independently make the circuit after reference to the schematics of every system. There is a safety cover installed on the moving parts. The name of every Circuit line is printed on it.